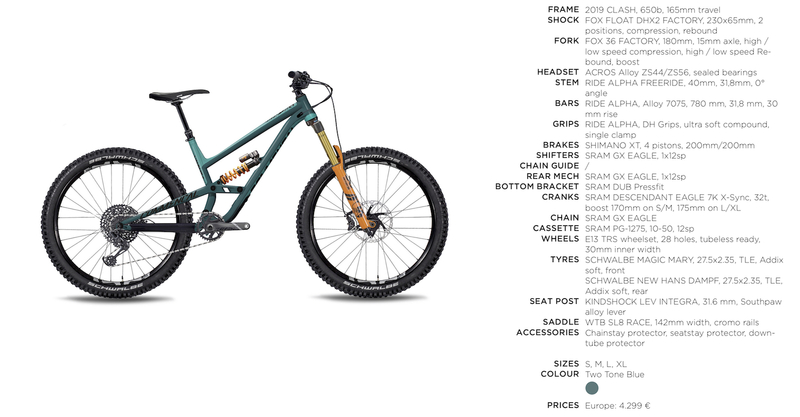 Commençal presents the Clash, a new bike that is basically the heir to the Meta SX and draws inspiration from Furious. 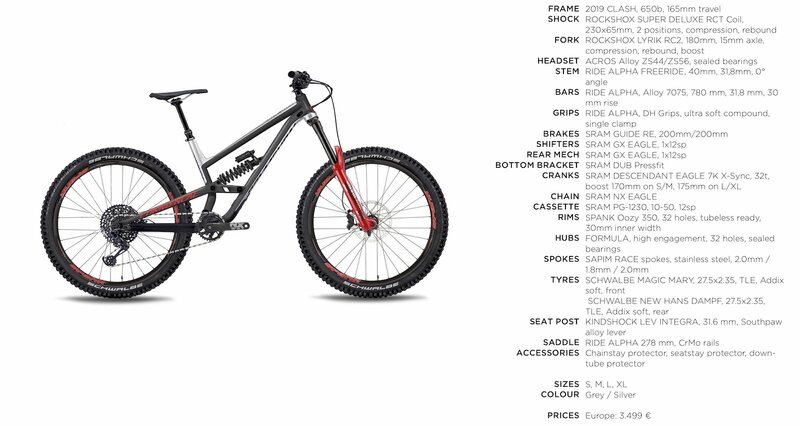 A bike entirely made of aluminum and with an aggressive nature, suitable for enduro as well as the days of abuse in bike park or simply what was once called freeride. 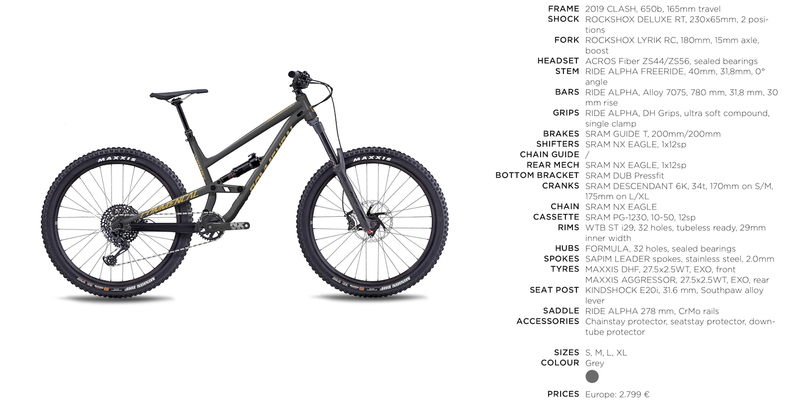 165mm of rear travel combined with a 180mm travel fork, with compatibility for 170mm forks. 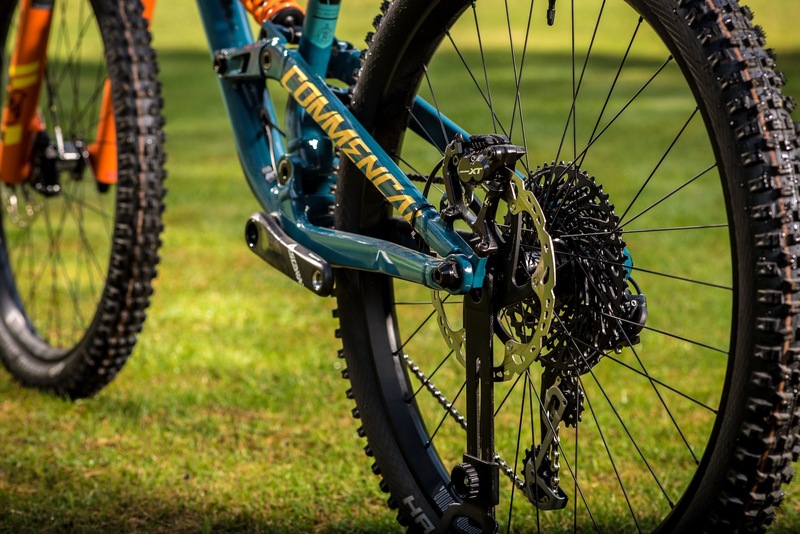 A suspension system that is based on a single pivot, whose linkage is driven with a pivot that is concentric to the rear axle, similar to ABP from Trek, or Split Pivot from Devinci so to speak. 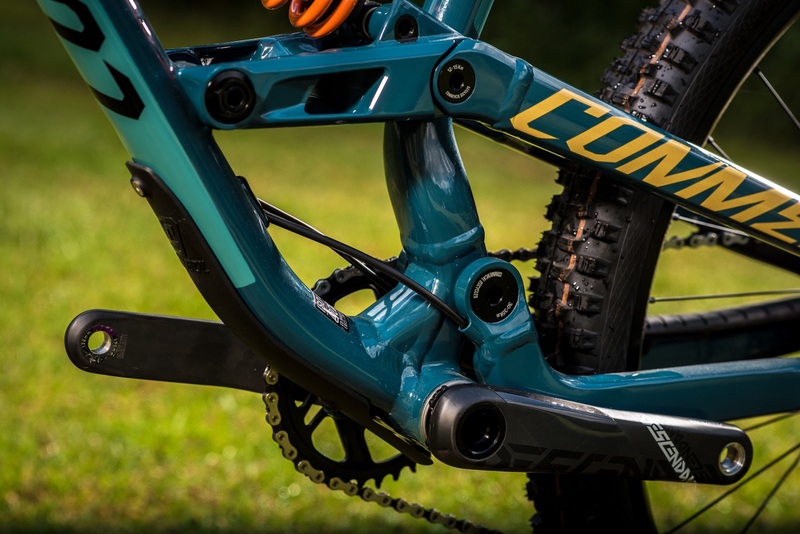 The frame uses sealed Enduro bearings. 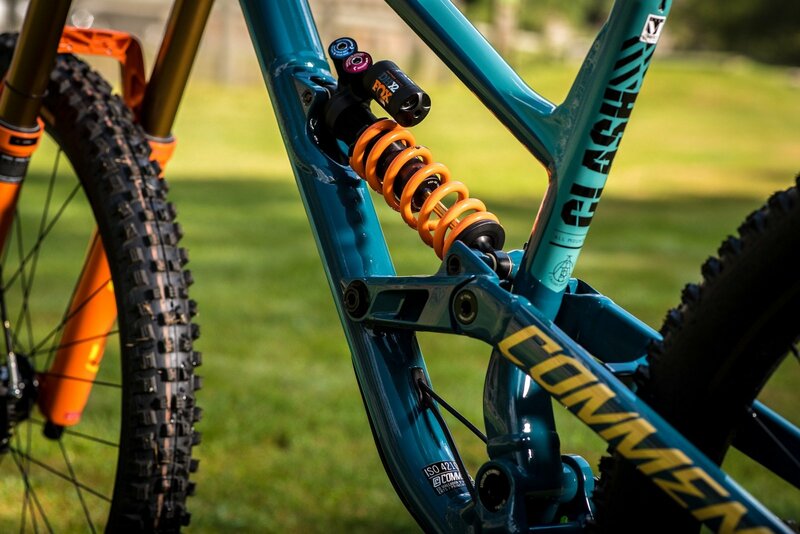 The 230x65mm metric shock absorber is driven by a massive aluminum linkage and is anchored to the frame at the downtube and seat stays. The compression curve is optimized to accommodate both air and coil spring dampers. 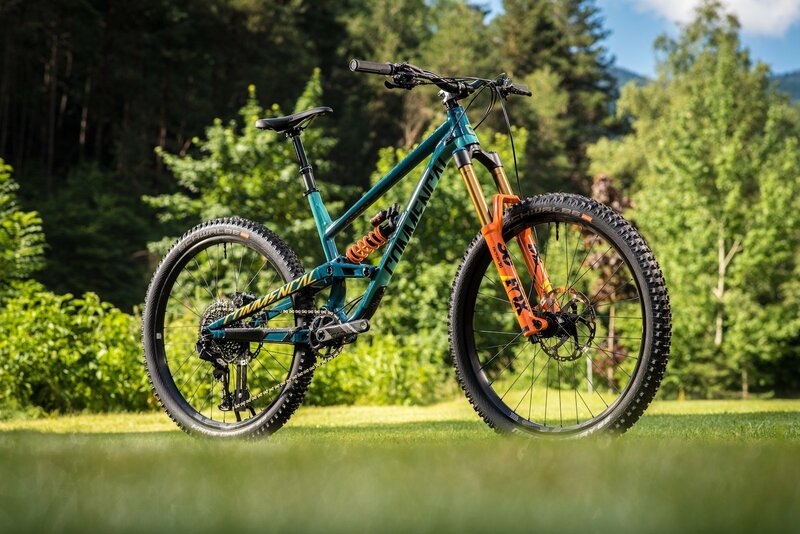 The wheels are 27.5 “and the frame accepts tires up to 2.6” wide. The housing for cables and brake hoses is entirely inside both the frame and the rear end, for a extremely clean lines. 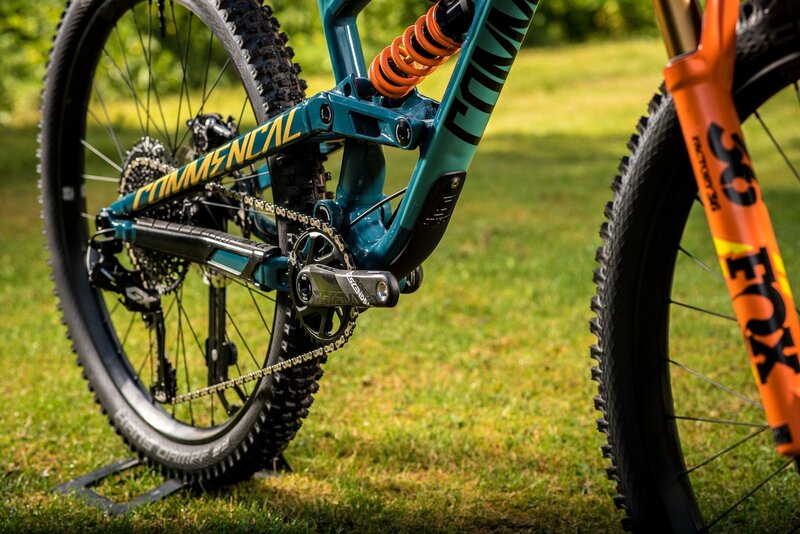 Protectors are abundant and well shaped, both under the down tube and on the driveside chainstay, with a thickness appropriate for the worst kinds of abuse.